The case may become the most significant in decades on the rights of pregnant workers. 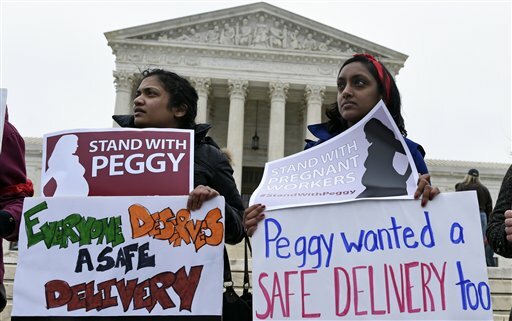 Dec. 3 (Bloomberg) — U.S. Supreme Court justices sparred over the rights of pregnant workers as they weighed the case of a former United Parcel Service Inc. driver who had to leave her job after her doctor recommended she not lift heavy items. “Because Peggy Young’s 20-pound lifting restriction resulted from her pregnancy and not from one of those conditions, UPS rejected her request,” Bagenstos, her lawyer, argued today.